The jobs on offshore oil and gas drilling rigs are tough, but also quite profitable. Who has not heard of the profitable and beneficial but also tough offshore oil job on the rig? Overall, one can say that on oil rigs are hired primarily geologists and seismologists, engineers, i.e. highly qualified and experienced personnel. However, non-drilling job seekers also have a chances to get hired on offshore oil rig. Since the rigs are located offshore by the outside world, jobs like cooks, doctors, nurses, stewards wanted too. Note, however, that in most cases very good knowledge of English is required for each applicant. It is definitely not so easy to get offshore job on oil and gas rig. Best chances of trades that deal with the exploration of oil reserves, i.e. : Geologists and Seismologists, Subsea engineers and Drillers, and also Chemists and Design engineers. Jobs in the oil industry are not just about the drilling holes, but also suppose activities related to the fact that there are needed engineers for the construction of refineries and pipelines. Thus, mechanics, welders, electricians, scaffolders are needed offshore too. More over, workers in offshore oil sector are sought in the next areas: Information technology (CAD Designers), Trade, Commerce, PR etc. As a rule offshore jobs on oil rigs are not only tough but always hazardous too. But you can successfully work on oil rig for long years if you'll keep all the safety rules and instructions and in turn get great career opportunities, high salary and the ability to travel over the world on various oil rigs. Recently, the majority of offshore oil vacancies are provided by oil industry giants, largest oil exploration companies in the world. Some of them we are hearing every day in newspapers, TV or radio so most of them even schoolboy knows: British Petroleum (UK), Statoil (Norway), Chevron (USA), ESSO, Exxon Mobil (USA), Conocco Philips, Sinopec Group (China), PetroChina (China), Total (France), Gazprom (Russia), Eni (Italy). 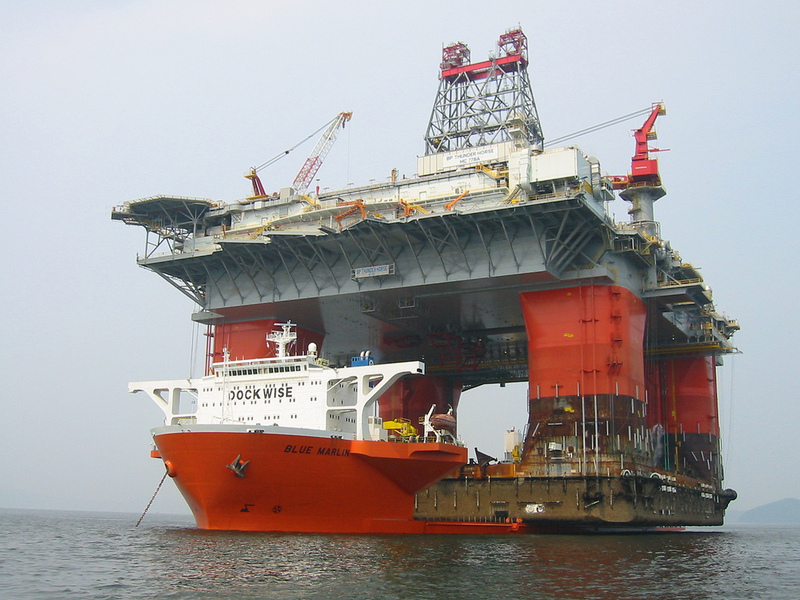 If you would like to get high paying offshore job on oil rig, you must meet some requirements. In addition to fluent English skills, the employee must be ready for more than 10 hours a day job. However, the worker receives then onshore vocation for several days. Also on offshore oil rigs there are age restrictions so if you under or over allowed age you will be not able to get offshore oil job. The exceptions are high-skilled jobs for highest positions on oil rigs.